Sid advises clients throughout the United States in all industries, including retail, hospitality, healthcare, manufacturing, and service industries. 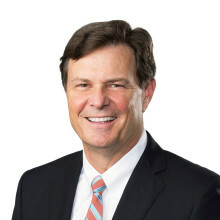 A majority of his work involves general advice to employers on a variety of employment situations, including discipline, terminations, applications, leave requests, transfers, noncompete agreements, trade secret information, wage payments, wage and hour laws, family and medical leave, disabilities, workers' compensation, discrimination complaints, workplace harassment, internal investigations, documentation, policy reviews, preventative counseling, supervisor training, and early litigation negotiation. He frequently presents training and educational seminars for supervisors, centering primarily on federal and state employment laws, as well as effective supervision techniques designed to avoid litigation. Sid has successfully defended hundreds of lawsuits involving federal and state employment claims. He regularly handles Equal Employment Opportunity Commission and National Labor Relations Board charges on behalf of employers. In the labor sector, Sid has represented companies throughout the United States as labor counsel and/or chief spokesman in contract negotiations and has handled union elections and labor arbitrations in a variety of industries. Sid is a frequent speaker and moderator for personnel associations and trade groups throughout the Southeast.